how you react to stress, and what you create. Sweep It To Renew It. Sweep your porch. Sweep your floor. While you’re at it, dust and vacuum, too! 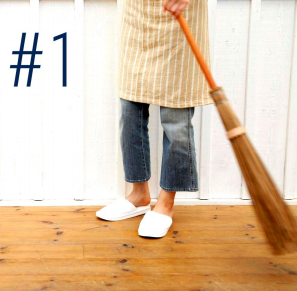 Get rid of energy‐dulling dust that is settling on your floor and furniture, or the dirt and leaves on your porch. Sweeping is a ritual of renewal, and will work to raise your vibration as it shifts the energy in the environment. Sweep to create a clean slate! Clean & Change Your Bulbs To Light Up Your Life. Let’s make your home and your outlook a little brighter! Such a simple fix that changes everything, but so many of us put it off. Do it now! Check: Replace all burnt‐out light bulbs. Consider switching out lights in your most‐used spaces with full‐spectrum bulbs. They simulate natural sunlight and are proven to improve mood. 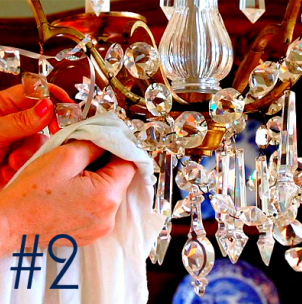 Clean: Use a damp microfiber cloth on glass and crystal chandeliers. Take the glass shades off ceiling lights and wash them. Open Your Door To Possibility! Make sure Every Door In your home opens fully. Check them all. Are there obstructions around your doors, or even coat hooks on them, which keep the doors from opening completely? Your good Chi/energy is moving through these doors and you want all that good stuff to get into every room. Make it so that all your home’s passageways are ready to welcome and receive. Honor Your Stove To Feed Your Soul. Clean Your Stove, including behind it. 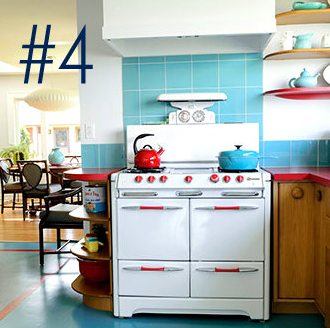 Your stove is the center of a happy kitchen − the modern hearth! This is a magnificent and wonderful appliance which you use to create healthy meals for your family. This food represents your abundance and vitality. Make sure you stove is treated royally it is something to be grateful for. 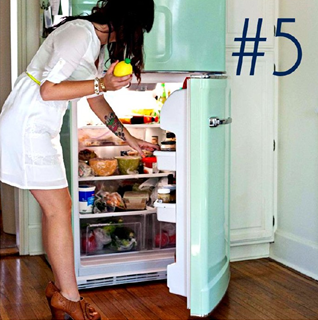 De‐Clutter Your Fridge To Spark Creativity. Your fridge can hide a lot of clutter that is clogging up your creativity! It is stressful to look in there − even if you don’t realize it − and see leftovers and unorganized mess. Check for and discard everything past its expiration date. And organize your life−giving food to feed your body and creative inspiration. A clean fridge promotes gratitude and respect for the things that nourish us inside and out. Keep The Lid Down To Double Your Savings. 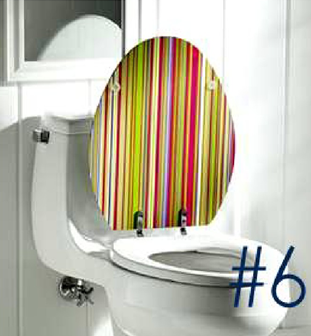 An open toilet lid represents your wealth being flushed down the drain. So, make sure you keep that lid DOWN! If you have a bathroom with an unobstructed view of the toilet, keep the door to this room closed as well. If your bathroom door is directly across from another door, put a mirror on the outside of the door. It doesn’t get simpler than this one! Open The Blinds And Curtains To Meet Your Goals. Let the light IN! It is enlivening energy. Your home’s windows are its soul (just like your eyes are the windows to yours! You want to look out the window and see clearly. So, open (and clean) your window coverings. Then give the glass a good wash. Your subconscious will quietly thank you. And when your perspective is clean and bright, you will be inspired and more inclined to take action on your goals. Tidy Your Entryway To Increase Relaxation. Your front door is the entrance − like a mouth − for good ChiƒEnergy to your home. Make it clear and inviting. 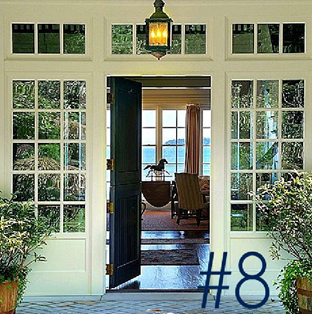 Make sure the entry you use daily is attractive and reflects a clearly marked, well−lit entry to your home. Overgrown shrubs or other obstacles are a no−no. Don’t let unfinished projects or laundry or garden tools be the first thing you see! 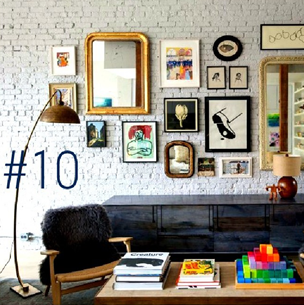 A cluttered entryway ZAPS your energy immediately upon passing through it. Instead, we want the entrance to make you happy to come home, and lovingly mark that important transition in your day. Clear The Space Under Your Bed To Get Good Sleep. Clear out all the junk you have been storing under your bed. This can actually keep you from getting a restful and rejuvenating sleep. What’s worse, it can even be holding you back. I was having a hard time finding a new relationship − and you know what I found under my bed? My ex−husband’s memorabilia AND our marriage license. Oops! Your subconscious knows what’s under there − even if you don’t − keeping you stuck in the past. Arrange Your Art To Frame Your Mind. Take stock of all the images and art in your environment. What message are they giving you? Is it positive? Does it inspire and motivate you? Do you love it? If not, then stop spending time looking at it! Get it out of your space and replace it with something that promotes and supports your goals in life. Make sure you include a vision board in there somewhere too! The more time you can spend looking at your ideal vision the more likely you are to attain it. I believe beautiful lives are made one small, important change at a time. You CAN create that comfort and ease you desire with subtle shifts in your environment that change everything! Since that’s what I do best, why not let me help? No major overhaul required. 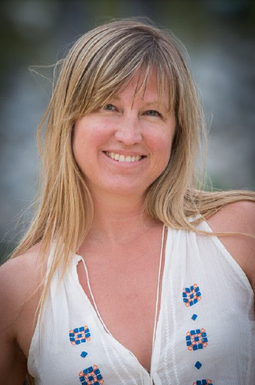 My super powers lay in guiding you through re−purposing and re−arranging what you HAVE … into what you WANT. Let’s chat about how we can do this for you, your life and environment right now! Just click here to get started.